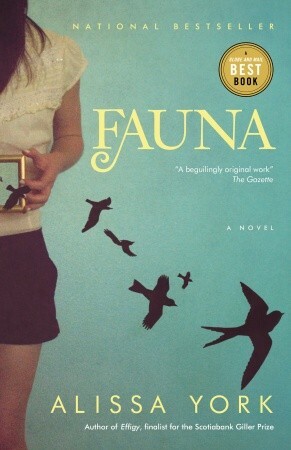 Fauna is a book I had not heard of until it became this year’s pick for the One Book Nova Scotia campaign. If it hadn’t been chosen, I might never have read it, and I’m glad that I did. Fauna was written by Alissa York, who is also the author of Effigy and Mercy, as well as the short story collection Any Given Power. Fauna was short-listed for the City of Toronto Book Award. What this book is about, in a nutshell: This story is about a group of misfits who become friends through their love of animals. The story centers around Guy’s home outside of Toronto, where he takes in orphaned and ailing wildlife. He also takes in humans who need sanctuary as much as the animals do. Through alternating narrators, we get the perspective of all the characters, as well as many of the animals. What I like about this book: With the addition of the animal voices in the story, we are reminded of the animals that live all around us that we don’t often take notice of. It’s nice to be reminded that they are still there. The writing style I found to be soothing and gentle, drawing me into the story. What I didn’t like about this book: There wasn’t much that I didn’t like. I had a few questions about one or two of the characters’ stories that went unanswered, but then I think that this is probably more realistic. We can’t know everything. My favourite part of the book: Lily’s big, black dog Billy. Who wouldn’t want a dog like Billy? Who should read this book: I would recommend this book to nature lovers, as well as to anyone who loves a good story about outsiders. If you are looking for a story with a lot of action, this might not be for you. One Book Nova Scotia is like a province-wide book club. It’s a chance for everyone in Nova Scotia to read and talk about the same book. Fauna was the choice for this year’s book. 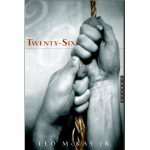 Last year, the chosen book was Twenty-Six by Leo McKay Jr. I read Twenty-Six a couple of years ago. The story takes place in a fictional town in Nova Scotia where a mine disaster occurs, based loosely on the Westray Mine explosion of 1992. A book every Canadian should read.